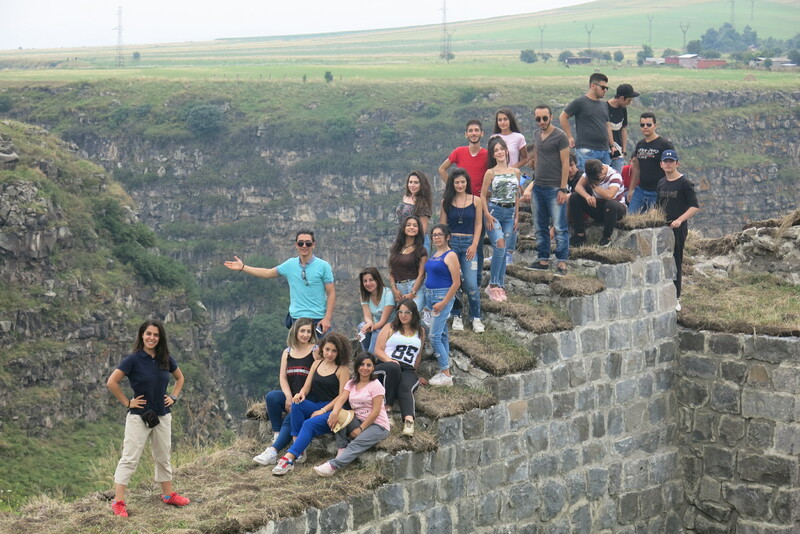 On August 1, 2018, a week-long summer camp initiated by Aleppo-NGO and WCC Round Table Foundation commenced at Vanadzor “Krounk” Camp in the Lori province of Armenia. 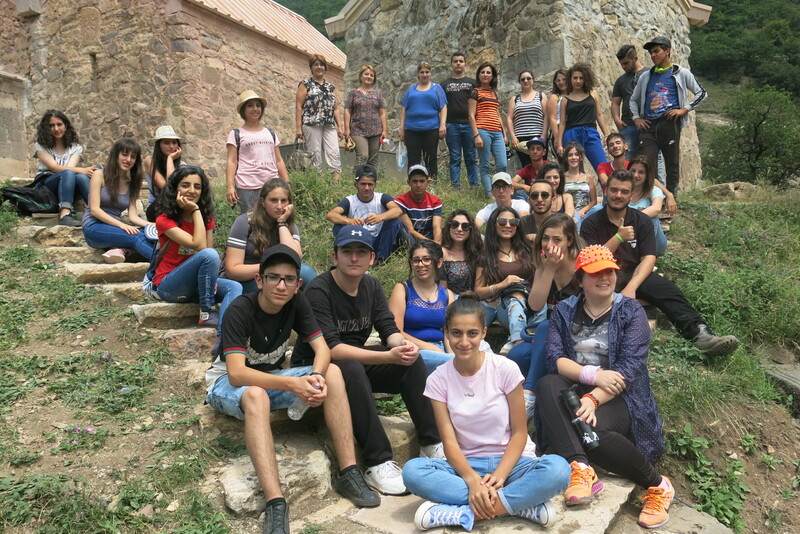 The summer camp included 39 participants, including displaced youth from Syria as well as local youth from Yerevan and Shirak provinces of Armenia. The camp was organized within the framework of “Better Future for Syrian-Armenian Youth” project. On the first day, the participants met with Archbishop Sebouh Chouldjian, Primate of the Diocese of Gougark, who welcomed the youth at the camp. 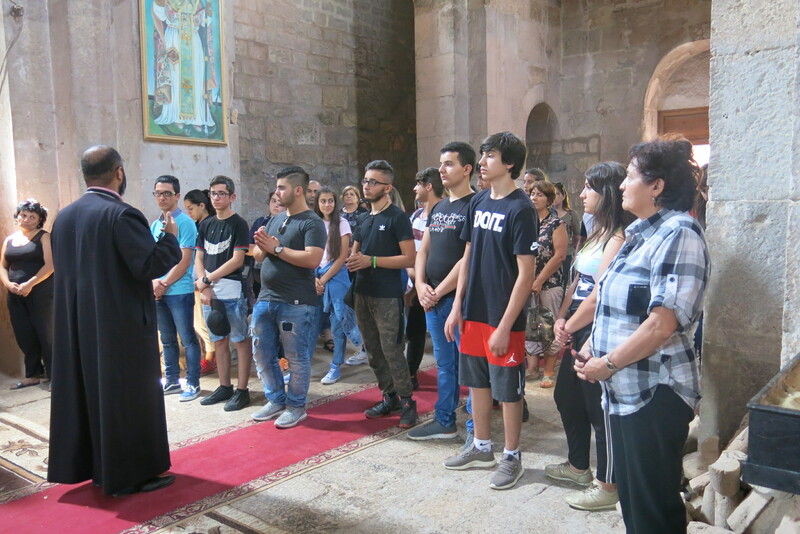 “I hope that your experience over the next week will have a meaningful educational and spiritual impact on your lives,” said Archbishop Sebouh Chouldjian. 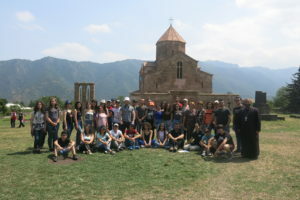 Lori province, having an abundance of ancient Armenian holy sites, allowed the coordinators of the camp to organize pilgrimages to Odzun Church, Ardvi Church, Dzegh Church, and many other locations. 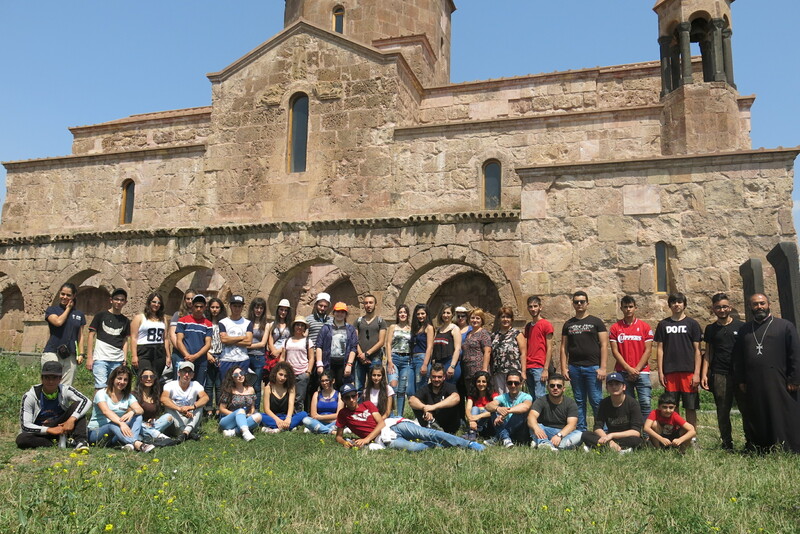 At Odzun Church, the participants met with Father Vrtanes, who spoke about the history of the church and showed them its hidden gems. Odzun Church is an Armenian Basilica constructed around 5th and 7th century, and reconstructed in the 8th century by Hovhannes III Odzentis, who served as Catholicos between 717 and 728 AD. 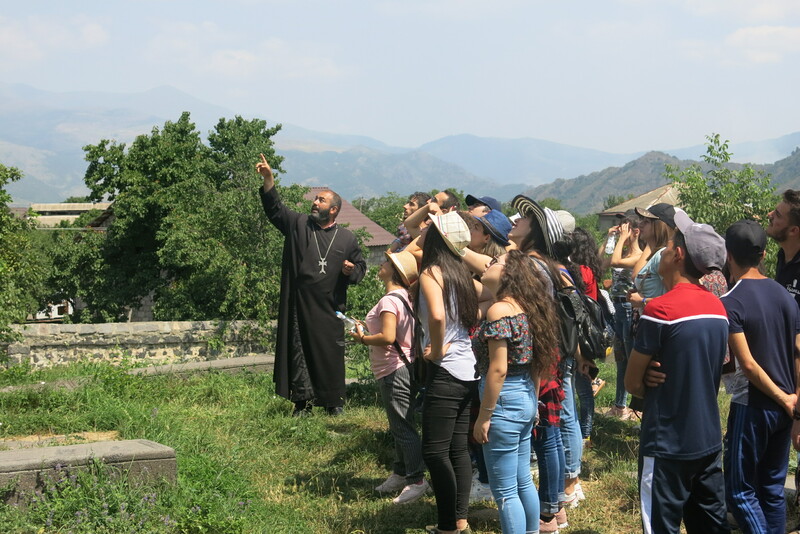 At St. Hovhannes Monastery of Ardvi, the participants stopped to have a picnic and enjoyed the beautiful view of the nature and learned about the church, which is famous for being the location where the movie “The Color of the Pomegranate” by well-known director Sergei Parajanov was filmed. 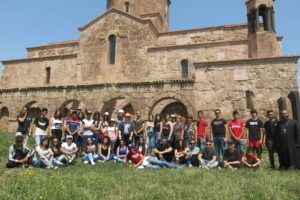 In Dsegh village, the participants not only visited the local church named after St. Gregory the Illuminator, but also visited the House-Museum of one of the most celebrated Armenian poets – Hovhannes Toumanian. The participants also had opportunities to receive spiritual guidance from pastors of the Diocese of Gugark – Father Vahan and Father Aharon, who spoke to the youth about modern day issues and the role of spirituality in overcoming challenges. 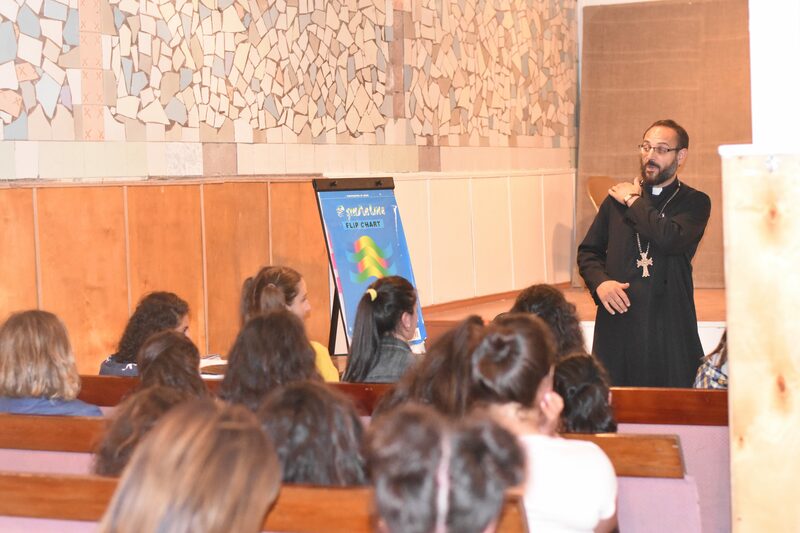 Sevan Keleshian, one of the participants of the camp, reflected on the meeting with Father Vahan, who spoke to them about the dangers of the Internet and its direct impact on young people’s sense of loneliness, isolation, and depression.